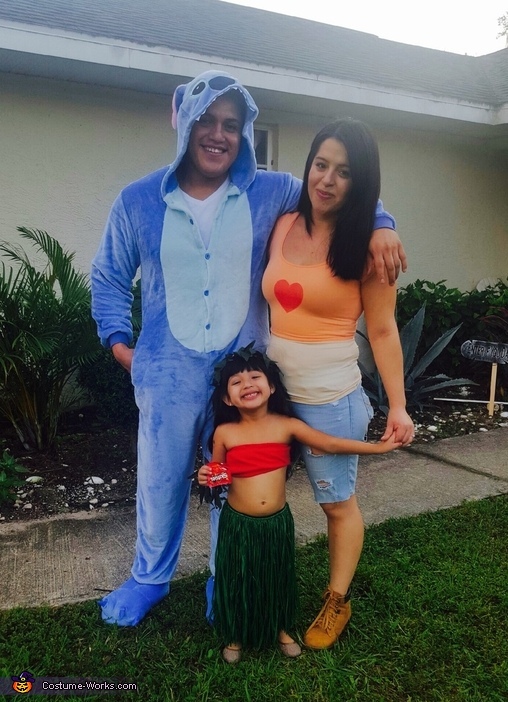 My daughter really wanted to be lilo & i thought it would make her super happy if we made it a family theme. I got the stich onsie on ebay as well as her skirt & mine made the heart out of transfer paper. I did make her top since i couldnt find it anywhere. Overall she loved it.